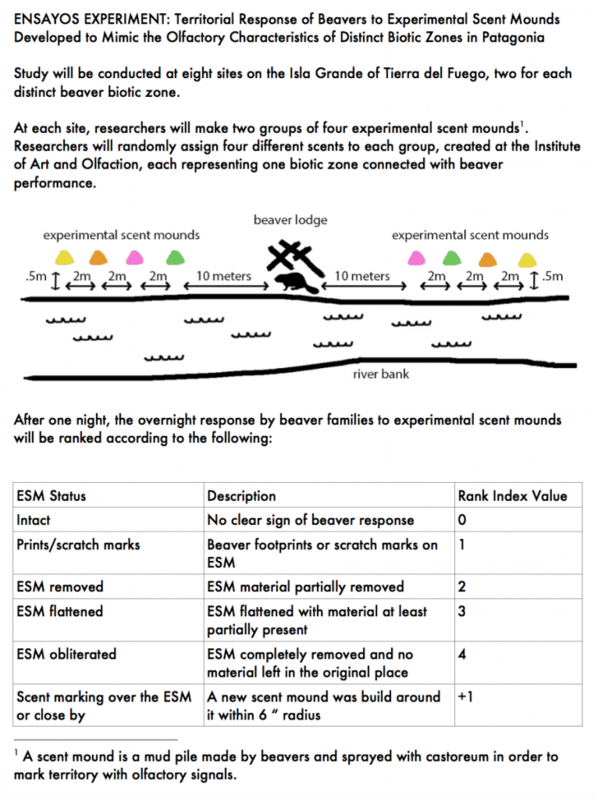 The goal was to implement the Beaver Research Plan developed by ecologist Derek Corcoran and biologist Giorgia Graells during the residency at the Institute for Art and Olfaction in 2015. To determine whether humans and beavers can communicate via scent. 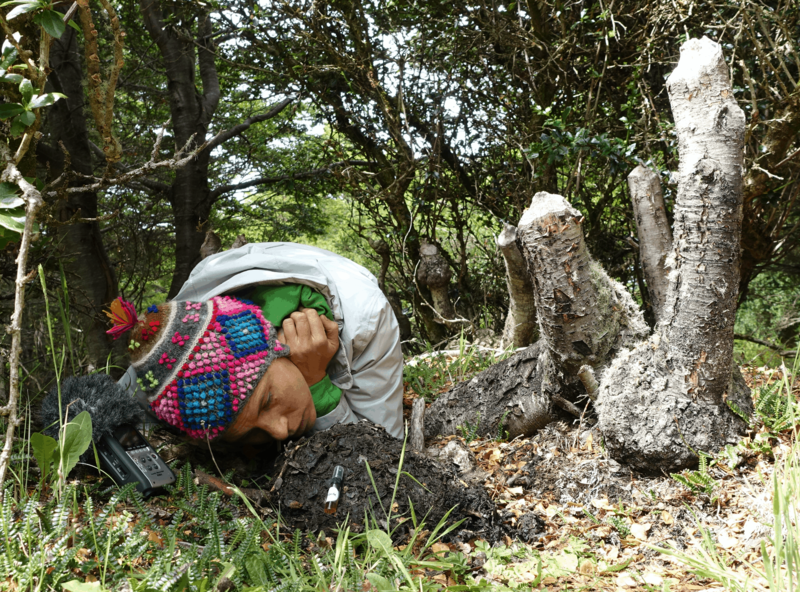 Through the application of perfumes to experimental scent mounds built along beaver-impacted rivers in Tierra del Fuego.